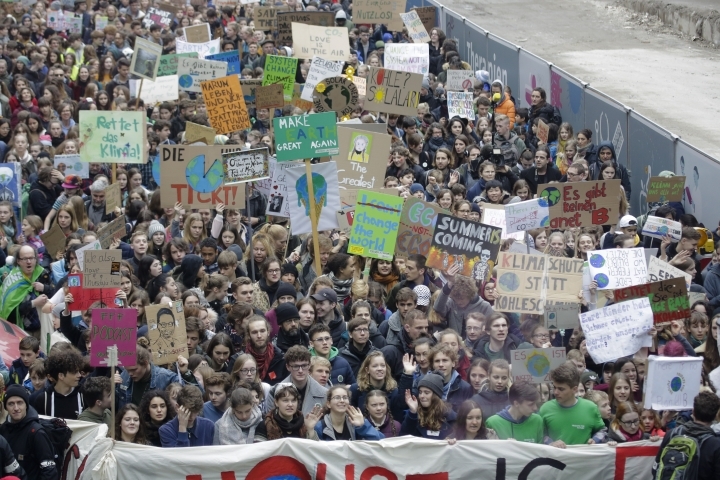 BERLIN — Thousands of students skipped school Friday to take to the streets of the German capital as part of a growing worldwide youth movement urging governments to take faster action against climate change. Carrying signs with slogans like "I want snow for Christmas" and "The climate is changing, why aren't we?" the demonstrators gathered in a park near Berlin's main train station to march through the government district. Police estimated the size of the crowd at more than 20,000. "The young people who are standing here and demonstrating everywhere in Germany now can definitely make a difference, and also will be seen by the politicians," said 19-year-old Felix Osebold, a student from the western city of Essen. "It can't be that nothing is happening." 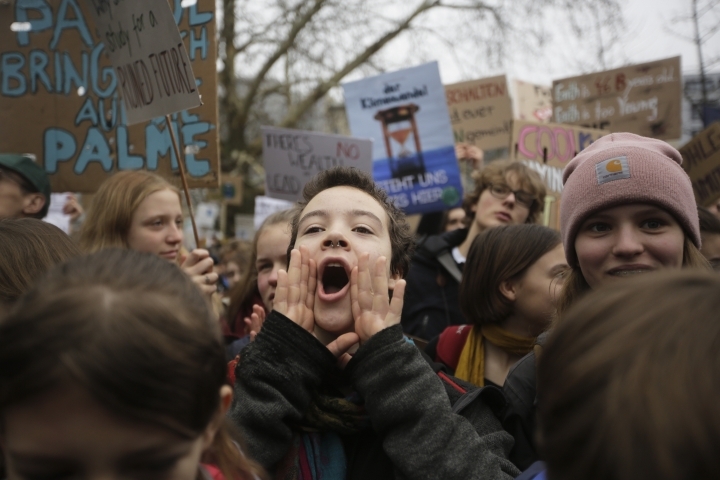 Swedish teenager Greta Thunberg, who inspired the protests in Germany and elsewhere by staging weekly "school strikes," headlined the demonstration, joining others at the rally shouting: "What do we want? Climate justice. When do we want it? Now!" Later, taking the stage in front of the landmark Brandenburg Gate, the 16-year-old told the animated crowd "the older generations have failed tackling the biggest crisis humanity has ever faced." "When we say to them we are worried about the future of our civilization, they just pat us on our heads and say everything will be fine, don't worry," she said. "But we should worry — we should panic — and by panic I don't mean running around screaming; by panic I mean stepping out of our comfort zones because when you're in a crisis you change your behavior." The crowd applauded wildly and chanted "Greta, Greta" as she wrapped up her short speech and left the stage. She was later to meet with scientists at the Potsdam Institute for Climate Impact Research, just outside the German capital. 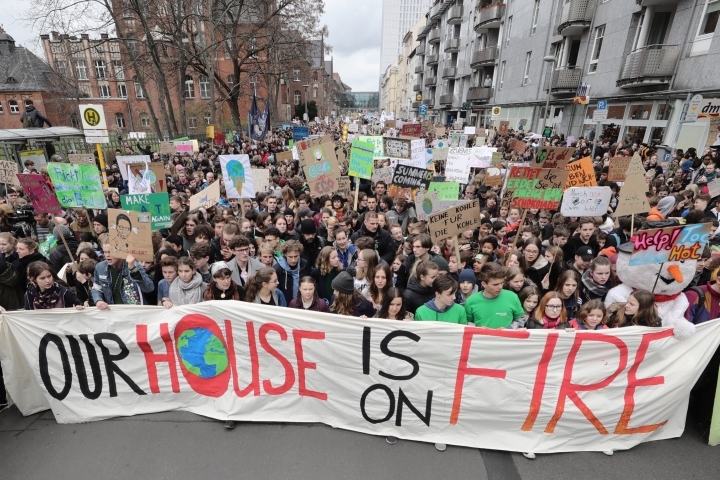 The Berlin climate change rally was one of more than 20 being held around the country. Protester Gabriele Konradi brought her 7-year-old daughter Valerie to the protest and they were part of a group holding signs like "change the system, not the climate." Valerie said she hoped "people will not produce so much garbage anymore." 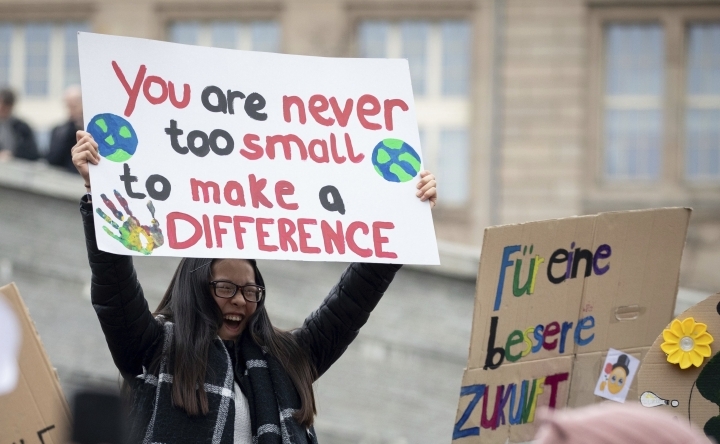 The weekly "Fridays for Future" protests have been largely welcomed by German politicians, although some have criticized students for protesting during school time. Chancellor Angela Merkel has called the protests "a very good initiative" and said that she welcomed them. 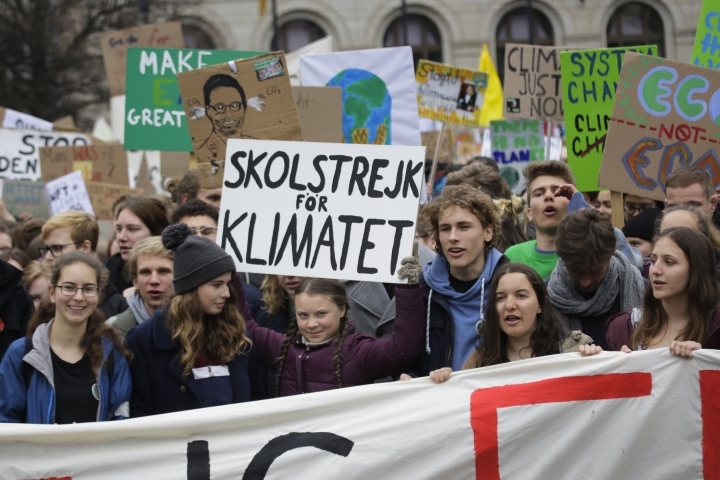 Thunberg started last year holding solitary demonstrations outside the Swedish parliament to urge quicker, stronger actions to fight climate change. 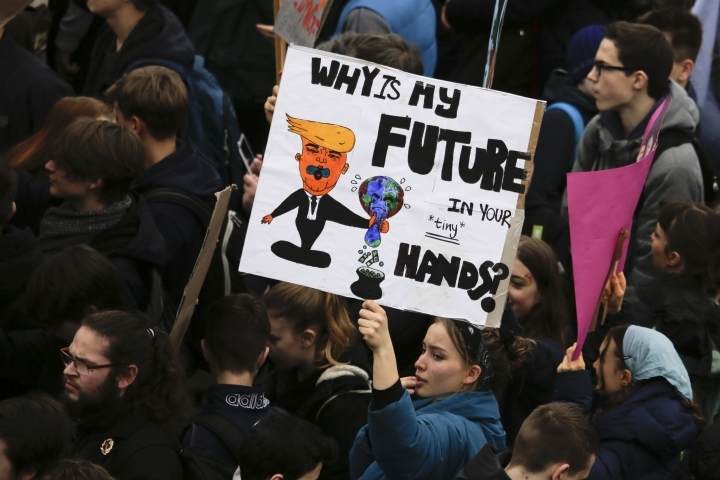 Inspired by her effort, the weekly protests have now snowballed from a handful of cities to hundreds, fueled by dramatic headlines about the impact of climate change during the students' lifetimes. 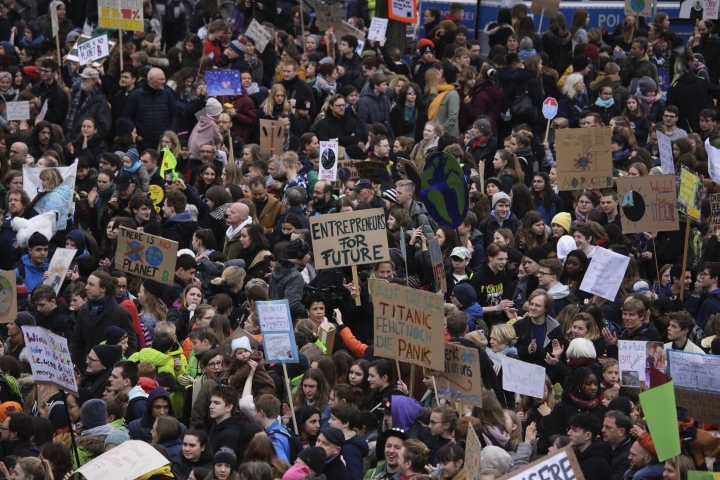 Unless emissions of heat-trapping gases start dropping dramatically, scientists estimate that the protesters will be in their 40s and 50s, maybe even 30s, when the world will reach the dangerous levels of warming that international climate agreements are trying to prevent. Kick Connect publishes a comprehensive overview of the latest news and theories on science & technology. We also report accurate news with a unique perspective on the world around us. Copyright © 2015 - 2019 Kick Connect. All Rights Reserved.